I really love the look of the word die cuts covered in washi. So beautiful! Gorgeous cards, Laurie! I love the creative way you played with Washi...thanks for sharing your ideas with us, and thanks for the video! I love the size of these washi tapes and they are so beautiful. Love your cards too and thanks for the tips on applying it to card fronts. So beautiful, Laurie. Love nearly all the washi designs. What an incredible release. Your designs are fabulous Laurie! So many wonderful Washi tape colors and designs to chose from! Thanks for the inspiration it is always appreciated! Have a wonderful day! I really like the diecut hello with the subtle washi pattern - such an elegant card! Oh yes...simple yet stunning. Thank you Laurie for the inspiration. I like the vellum with the florals! Leave it to you to share a simple yet genius idea! 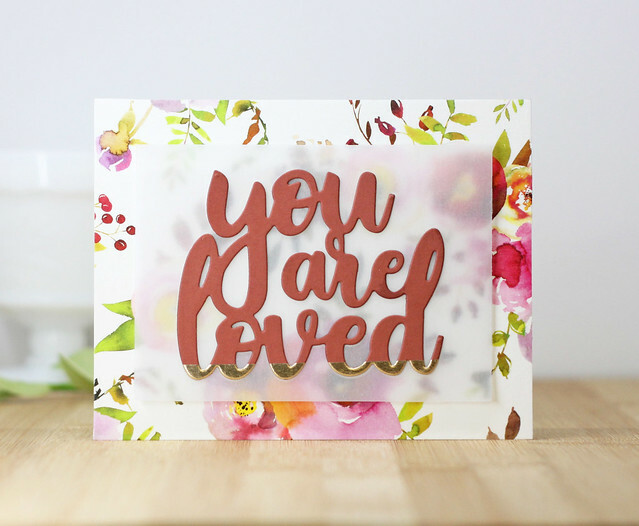 Love your cards, too! I have never been happy with just die cutting a sentiment on white cardstock. Your cutting it from washi really makes it sit apart from the background. Great card. Gorgeous cards Laurie! Love all the washi designs! CAS and fabulous! I really think these new Washi tapes are going to be game changers. All are so beautiful, I can't pick just one. Your cards are wonderful. I love your cards. The new washi tapes are awesome! Lovely cards...didn't realize washi could be so versatile! The white background with washi tape die cut words is beautiful. Wow is this some beautiful Washi! You've showcased it perfectly Laurie, bravo!! Very pretty cards and thank you for sharing your technique placing the washi tape. 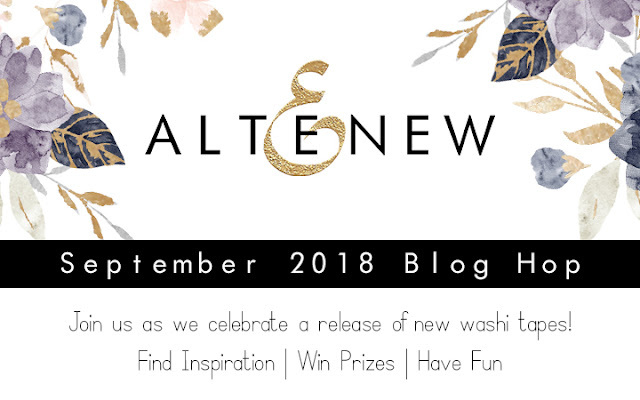 Love that Altenew now has released the washi tape individually instead of in bundles. There were a few I was interested in, but didn't want to purchase the bundle and now there are several more in the new release that are just gorgeous!! Thanks for sharing your beautiful cards!! So pretty! I love the simple look, yet so stunning. Thanks for the inspiration! What a time saver! Why hasn’t someone made washi this wide before? Hi Laurie. Thanks so much for that tip about laying the washi tape onto the card. That was excellent. 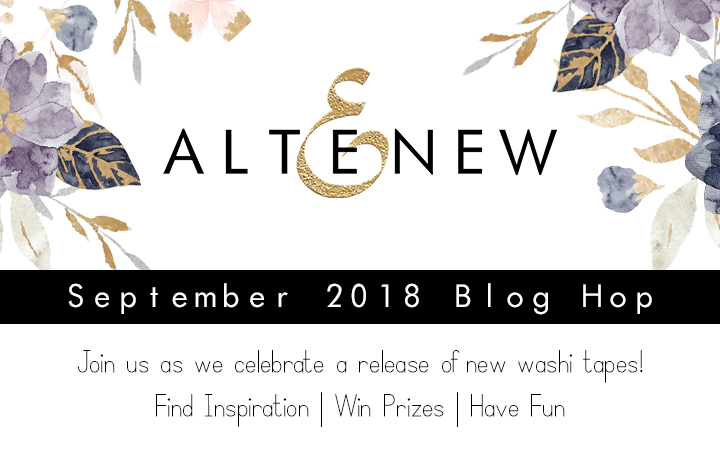 LOVE THESE NEW WASHIs - aren't they gorgeous? I really love the way you've used it in both of your cards, and as beautiful as it is, I think my favourite is the white background with the die cut word. It looks stunning!!!!! Super pretty and so elegant. Thanks so much for sharing. Beautiful cards!I really like how you used the Painted Fantasy washi tape on the word HELLO for the first card! So very elegant looking! Great tip, thanks! Lovely cards too. Such lovely cards....the bit of color on the Hello diecut is perfect. CAS at its best! beautiful cards, Laurie - and thanks for the tip on getting the washi onto cardstock! Your cards are so lovely. Your use of Washi tape was fantastic!! Can’t wait to try it out!! Beautiful cards!! The washi Tape Is amazing! Thank you for the inspiration!! Love your cards! 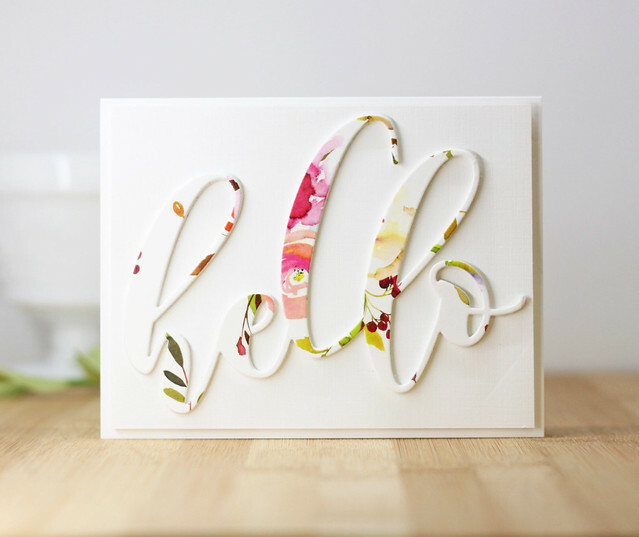 Especially the hello die cut - so pretty. And your hint about laying on the washi is awesome! Wow1 the first card is just stunning! So simple and elegant. Love the new washi tapes. Lovely cards, especially the floral background one. I love the "hello" die cut from the washi - wowser! Beautiful card! So glad to have discovered your blog! These washi tapes are so beautiful! I'm really inspired to try them! Great cards! Love the way you used the tape. Very pretty! What beautiful cards! I am loving these new washi tapes. 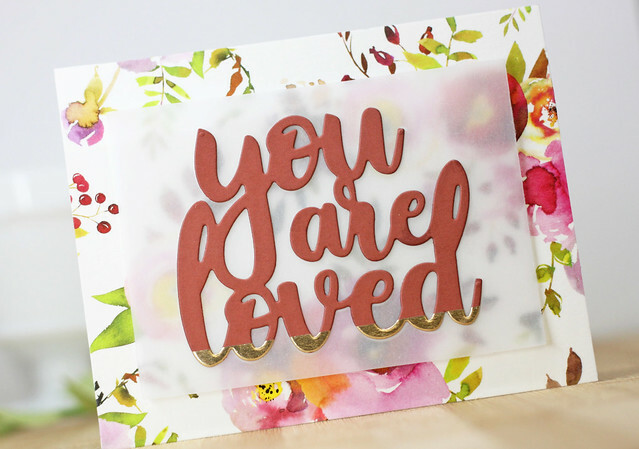 Beautiful cards with this gorgeous Painted Fantasy tape! I love the 'hello' cut from the washi tape design! Beautiful cards. I especially like the 'hello' card with its simple elegance. 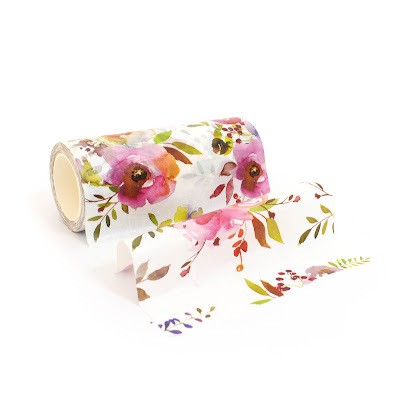 All the new washi tapes are awesome and would be so fun to create with. The floral tape is so pretty and delicate. It looks just like it was hand stamped. Love these new washi tapes. Gorgeous cards. Beautiful cards. I love how you can use the wide floral tapes as a background. I love the new washi tapes. The floral ones are especially beautiful and you have used one in such beautiful ways. Wonderful ideas for the giant sentiments with floral washi. Thanks for the inspiration. Oh yes! That vellum is a wonderful idea. And that hello???? So, so lovely. Beautiful! I love how versatile these gorgeous washi tapes are, especially the wide ones - backgrounds, die cuts, fussy cut elements... one can do so much with these! And it helps that they're stunning! Beautiful cards. I love the way you used the washi for the first card. Beautiful cards! Thanks for showing how to easily apply the wide washi tape to cardstock. Thanks for sharing your beautiful cards and tips! Lovely cards and so easy and elegant looking. Thanks for the video and the tip how to apply the washi tape, so much easier when you can watch a video. What an awesome product! Love your amazing & beautiful creations!! Thanks for showing how you applied the tape. Gorgeous cards! Love the simplicity of your designs. wow! interesting how your first card is so simple but yet is so striking and elegant! Stunners absolute stunners. These might be classed as CAS to you but they are works of art to me. Thank you for sharing these. Love the hello cut from the tape. The Painted Fantasy is my favorite and you have used it in such a beautiful way with your big hello! Just beautiful! Both so pretty. I really love the impact of the diecut washi covered title 'hello'. Laurie, your projects are amazing, very elegant! Beautiful work Laurie! 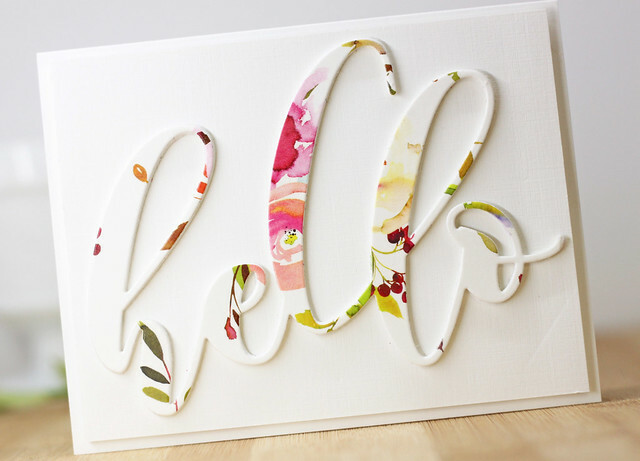 Love the idea of using it to die cut the words! Such helpful tips! Gorgeous, simple, elegant cards! Love the giant hello on white.....it stands out so beautifully! Love how you used this pretty washi tape. I love your clean, beautiful cards. That washi is gorgeous. Beautiful. I love how the washi makes for such easy, gorgeous cards. And I really like your dip-dye sentiment on vellum. That's such a nice way to make the sentiment legible without covering up all the pretty background. Thanks for sharing! I love the way you let the washi tape shine on the first card which is quick, simple, and elegant. My type of card. And placing the gilded washi on the card so to give the "gold dipped" look was so smart. Much easier than using embossing powder. Another QSE (quick, simple, elegant) that I could recreate. Love how the velum is raise. Great job! Thanks for the video share! These washi's are looking good! These are beautiful! I love the large HELLO card! I love the new washi tape! Thanks for the video and great tips on covering the entire card background!